Brighton are tipped to claim a vital win over Cardiff at the Amex Stadium in an English Premier League relegation six pointer. The hosts are five points clear of their rivals in the battle for survival and are tipped to win at odds of 1.83 against the shot shy visitors. Brighton suffered a disappointing 5-0 defeat against Bournemouth last time out in the Premier League. 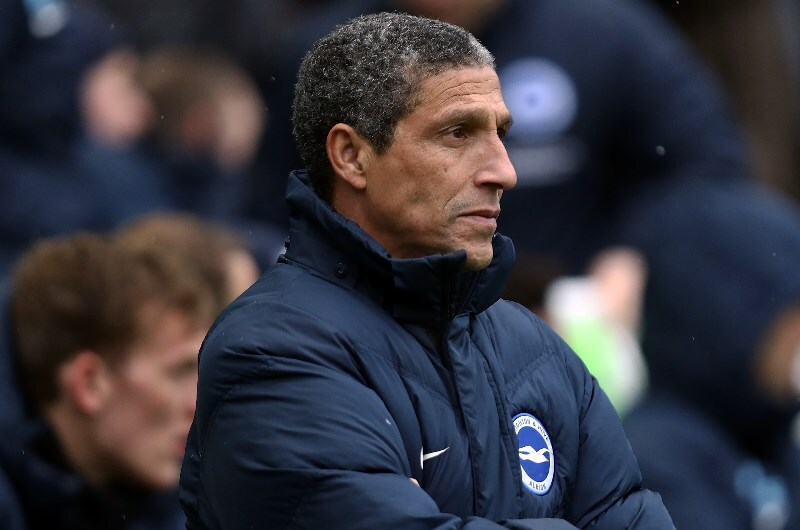 It was their worst defeat this season and manager Chris Hughton will be demanding a quick response from his players. The Seagulls were kept alive last season by their home form and will be hoping to recapture the magic in their remaining matches this term. They are unbeaten in four home matches against newly promoted teams and are paying 1.83 for a victory on Tuesday having won two of their last four fixtures at the Amex. Anthony Knockaert will miss the clash after getting sent off against Bournemouth. Jose Izquierdo could replace the Frenchman on the wings while Glenn Murray is set to return to the starting lineup after making a second half appearance on Saturday. Cardiff also suffered defeat in their last Premier League outing as they were beaten 2-0 away at Burnley. The Bluebirds were once again undone by a lack of firepower in attack as Junior Hoilett sent their best chance over the bar with the Clarets leading 1-0. Neil Warnock's men have been plagued by attacking problems all season with the defeat against Burnley the 15th time they have failed to score. They have found the net just 28 times in 33 matches with strikers Kenneth Zohore and Oumar Niasse scoring just one goal between them all season. Cardiff have struggled on their travels with just two away wins this season. They have lost their last three matches on the road and are priced at 4.50 to win at the Amex with a draw set at odds of 3.40. Cardiff have an 11-6 advantage with 13 draws from 30 previous matches against Brighton. The Bluebirds claimed a 2-1 victory in the reverse fixture at the Cardiff City Stadium. Brighton are unbeaten in their last five home matches against Cardiff, claiming a 1-0 victory the last time they hosted the Welsh team in a 2016-17 Championship clash. Brighton have plenty of pace in the wide areas with Izquierdo and Jurgen Locadia, who are both expected to combine well with Murray in attack. The Seagulls are also dangerous at set pieces thanks to the aerial presence of central defender Shane Duffy, who has five goals this season. Cardiff's lack of attacking firepower means they have failed to score in their last 3 away matches. Zohore and Niasse often alternate the striking position for the visitors but both men have just one goal between them this season. Brighton are unbeaten in 4 home matches against newly promoted teams (Premier League). Cardiff have lost 6 of their last 7 Premier League matches. Cardiff have failed to score in their last 3 away matches (Premier League). Brighton can secure a win here which will be a massive step towards securing another season in the Premier League. Given Cardiff’s woeful away form and struggles in attack, I am predicting a win for the Seagulls.